Gods of Sport covers all aspects of all sports through the lives of their stars. No matter if you are interested in the World Cup News, Wimbledon History, Masters Golf Tournament, Olympics Games in our website you will find an invaluable source of information. Feel free to contact us with any sports stories you would like us to publish. Michael Phelps, an American swimmer, born in 1985 made history by being the first swimmer ever to win 8 gold medals in 2008 during the Olympic Games held in Beijing, taking over the record of 7 medals by Mark Spitz during the historical Olympic Games in Munich 1972. 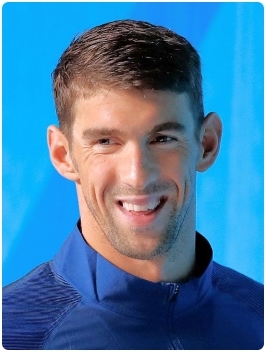 Michael Phelps started swimming when he was 7 years old; partly to follow his sisters and partly to get rid of excess energy he seems to have. When he was 10, he swam to his first American record for his age group. In 2000, he is the youngest participant in the American aquatic team that is participating in the Olympic Games in Sydney. Although he did not win a medal, he gets media attention by finishing 5th in the butterfly finals. In 2002, when Michael was 17 years old, he swims himself into the picture by breaking the world record for 400m individual medley during the Pan Pacific Championships. During this Championships event, he wins 3 gold and 2 silver medals. On 17 January 1942, a little boy was born in Louisville, Kentucky. 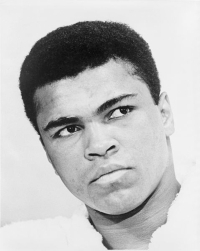 Nothing special one can say, but if you knew he received the name Cassius Marcellus Clay, a bell might ring for you. In 1964, he changed his name to Muhammad Ali after converting to Islam. It was a white policeman and boxing coach, Mr. Martin, who brought Cassius in contact with the boxing sport but Cassius decided to train with Fred Stoner, an African-American who was working as a boxing trainer at the local community center. Throughout his amateur career, Fred Stoner remained Cassius’ trainer and coach and thanks to this man, Cassius not only won the Kentucky Golden Gloves six times, but also the National Gloves two times. And if that was not enough, he also won a national title from the American Athletic Union. Cassius was so good that he was asked to represent the US during the 1960 Olympic Games in Rome, where he won a golden medal in the Light Heavyweight category. The story went that he threw the medal into the Ohio River out of frustration for not being served in a ‘whites only’ restaurant. It is unknown whether this story is true, but the lost medal was replaced in Atlanta where he lit the fire for the 1996 Olympic Games. Danica Sue Patrick was born in Beloit, Wisconsin on March 25, 1982 and raised in Illinois. Her talents for racing began to show at the tender age of 10. She began go-karting at this very young age and won some World Karting Association championships. Her professional career began when she moved on England and joined the Indy Racing League at the age of 16. She made history when she finished second place in Britain’s Formula Ford Festival which marked as the highest ever finish by a woman. Sachin Tendulkar is the cricketer who has repeatedly broken his own records to prove his own ability in the world of cricket. Probably the best cricket of the world has been a wonder to the most sports analysts. He has delivered the world of cricket with a new era of cricket, a new dimension to the gentleman’s game. Whether it is the test cricket or it is one day international cricket Sachin has always remained the highest scorer as a batsman. Sachin Tendulkar is the one and only one player to score a double century in an ODI match.